Each student was asked to bring in a special book from the dollar store. On the first day, students personalized their covers with stickers, letters, and anything else we could find. We made the first page of their books all about them. They drew pictures of themselves and their families. 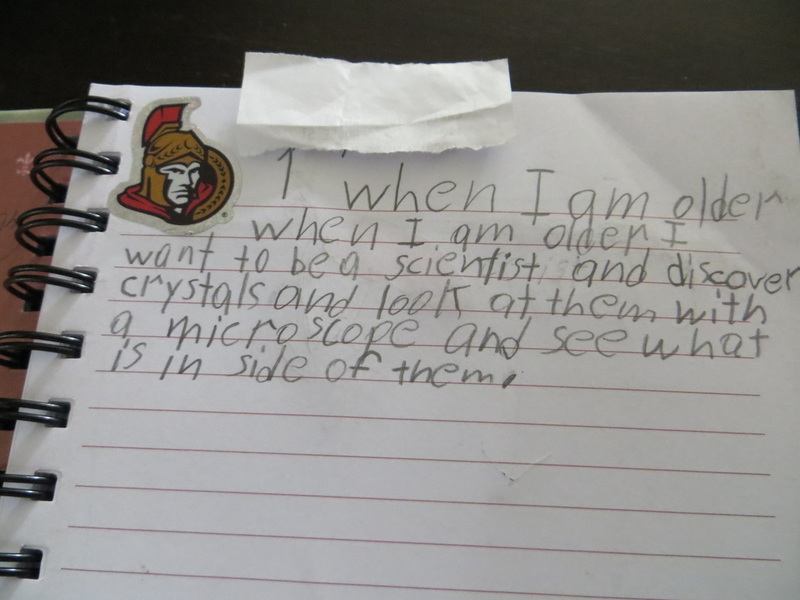 They also wrote about their favourite things. Students were very motivated and students of all levels were successful. One student asked if they could work on it all day! 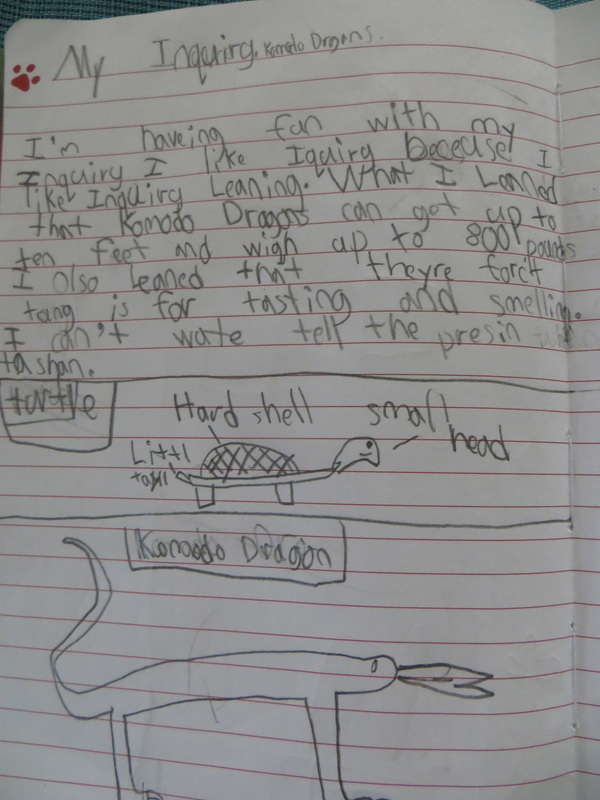 In quiet reading time, students were encouraged to write about their thoughts and things they were learning. 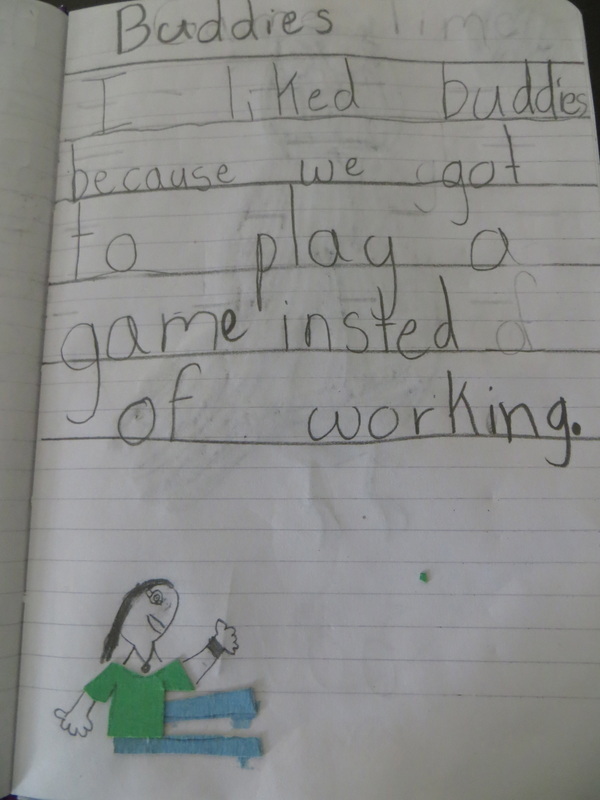 They were encouraged to write their thinking in poem form, pictures, or writing. They often glued things into their books. 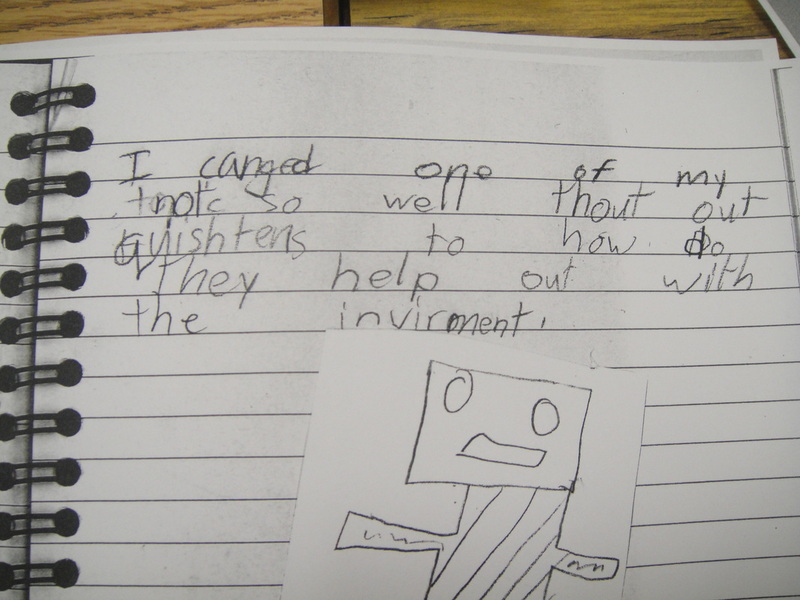 At times, students were asked to write or draw reflections about the inquiry and buddy process. 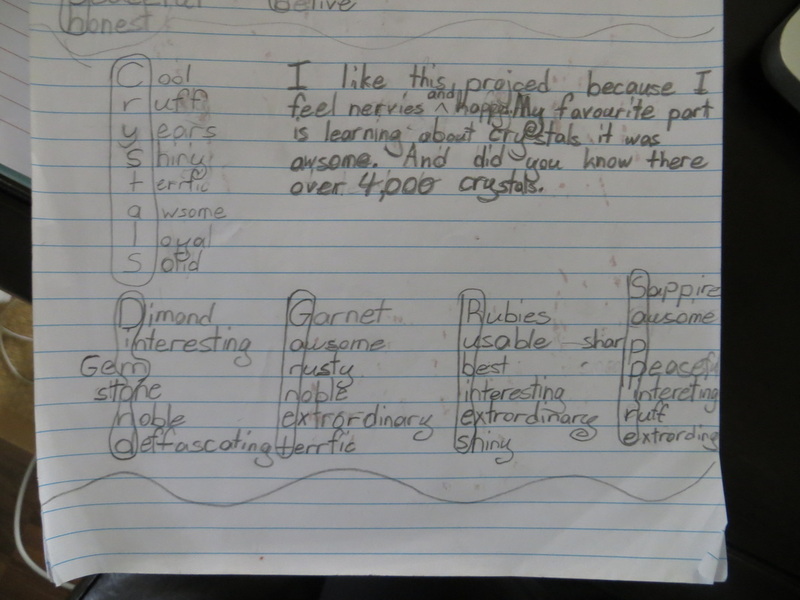 I-thought books were a great window into each child's learning. 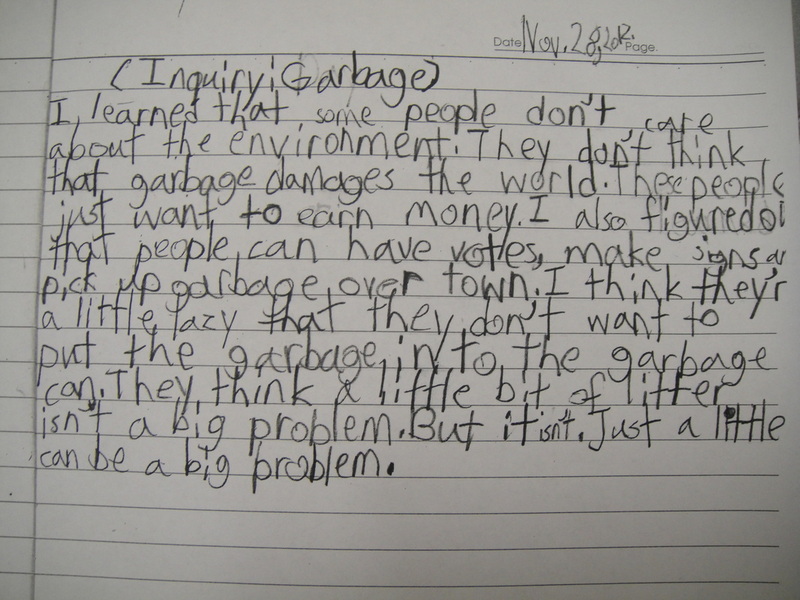 Here are some samples of things the grade 2/3 students wrote throughout the inquiry process. 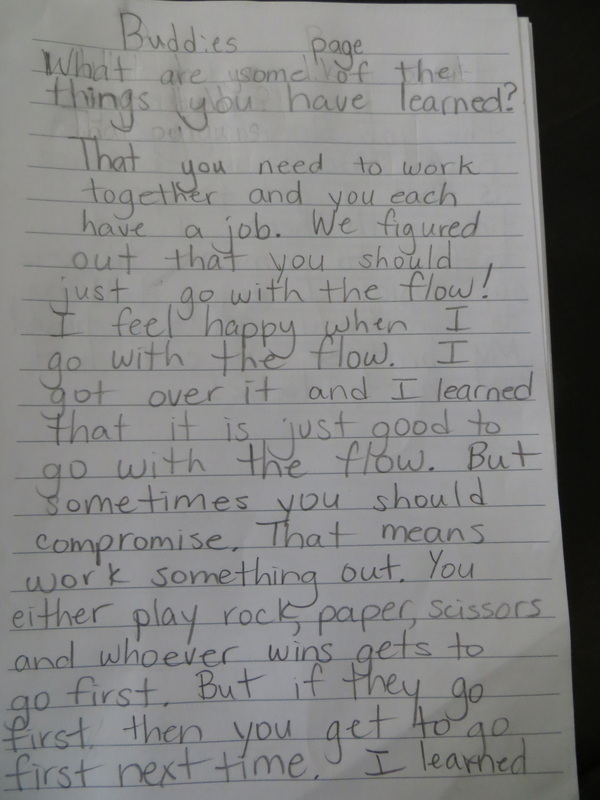 *Evidence of learning problem solving, communication, and collaboration skills! What do you like about buddies? "What I like about buddies. I like it because it is fun and hard. When I first met my buddy ***** I was uncomfortable and after a few months me and ***** were very happy. Me and ***** got comfortable cause over time we got to know each other better." 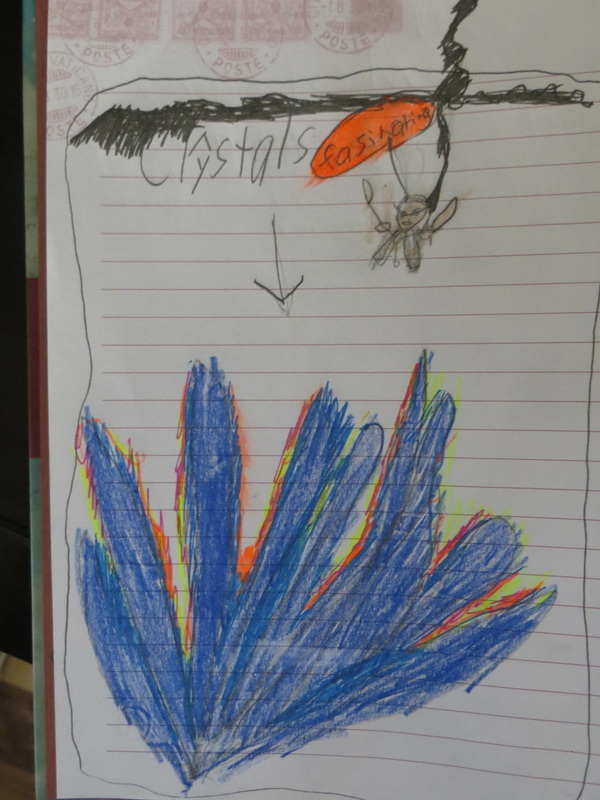 "I really enjoyed spending time with my big buddy and spending time on our project on rocks and crystals. We are going to put some more stuff on it. But what I really liked about spending time with him is doing the project with them. The project was fun." 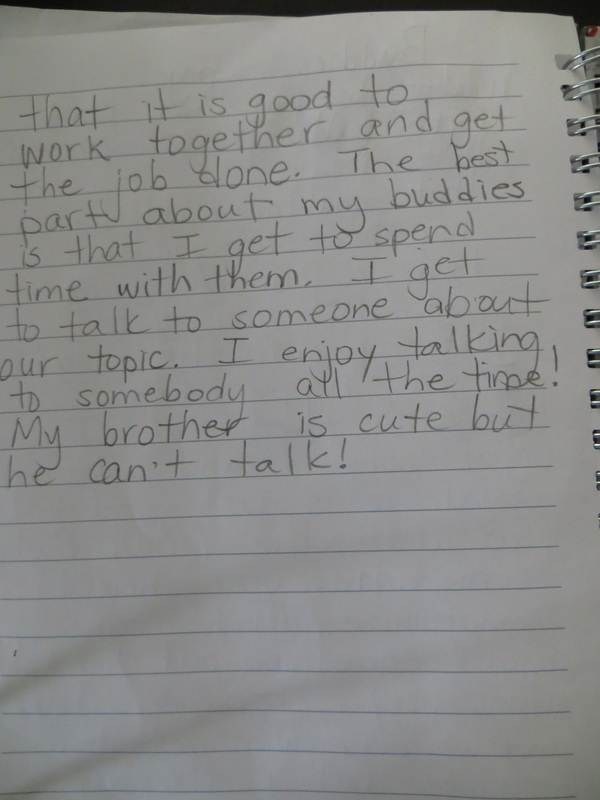 "The best part about buddies was working with my buddy. He has been awesome. I like it because they're helping us and doing stuff that we can't do."